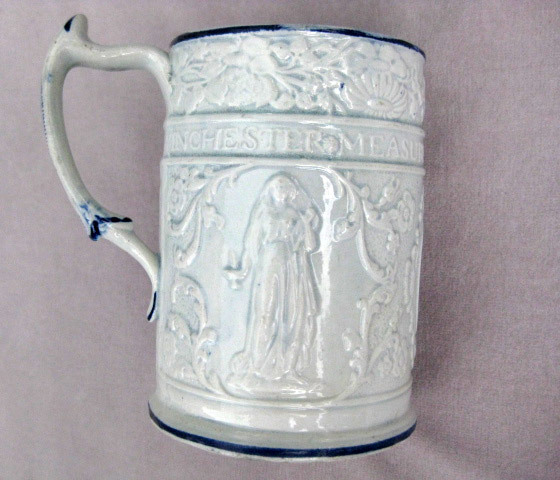 S2941 : A pearlware mug with the words "Winchester Measure Warranted" moulded within straight lines. Moulded flowers around the top and figures moulded within cartouches to either side. Marked with an incised cross. 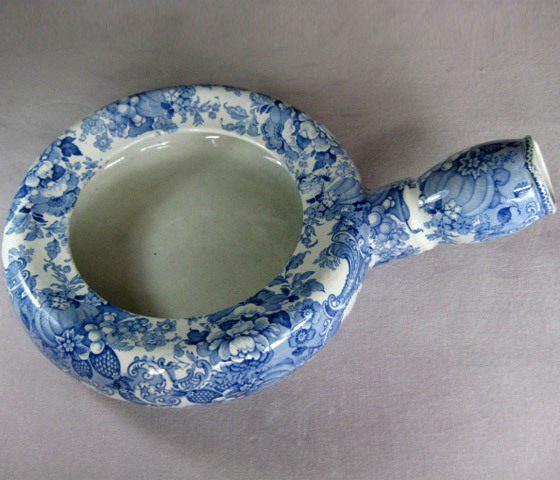 S2597: A rare Davenport bed pan in blue and white printed pottery with pineapples,melons and grapes or berries and flowers making up the pattern. 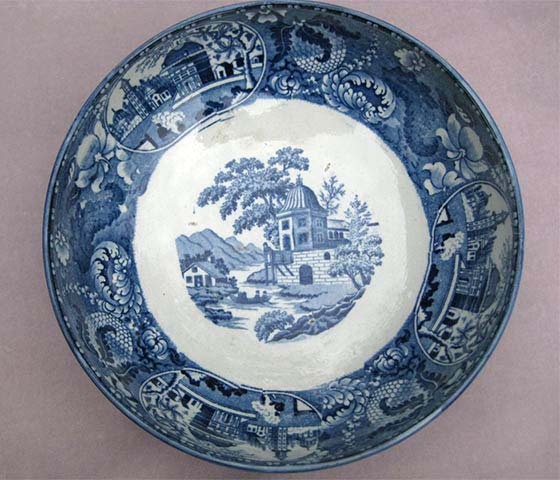 S2977: A small blue and white printed pottery pap boat. 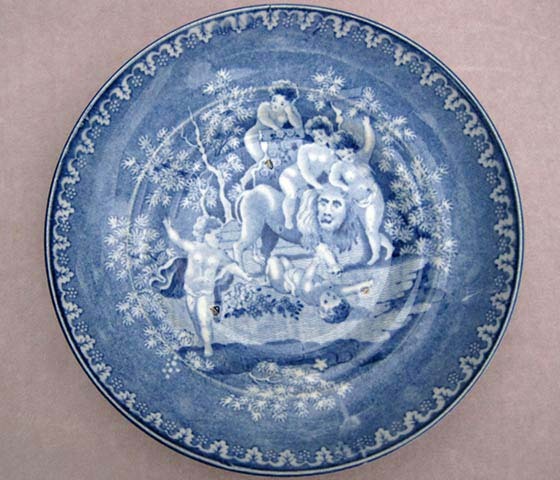 S2983: A blue and white saucer decorated with the print “Lion Antique” showing cupid like figures frolicking with a lion. 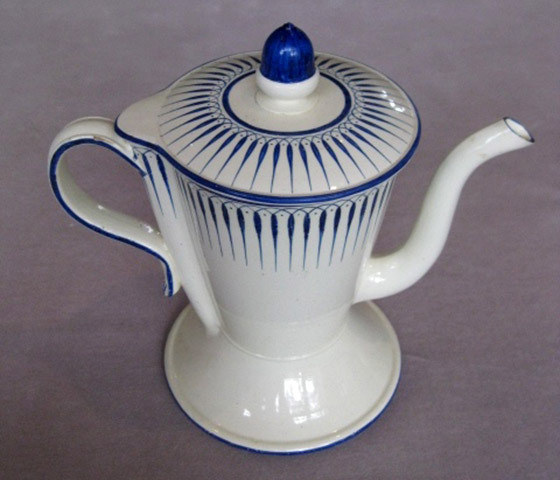 S2852 : A rare creamware Argyle and cover with blue rims and knop and with further blue decoration to the lid and top of pot . 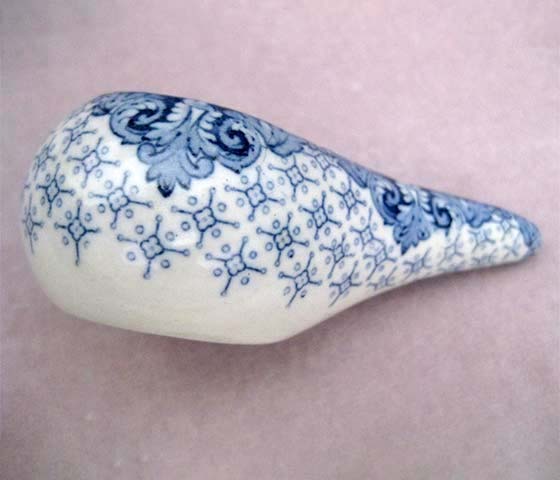 S2930: A rare Spode pearlware asparagus server decorated with the "Lattice Scroll" pattern. 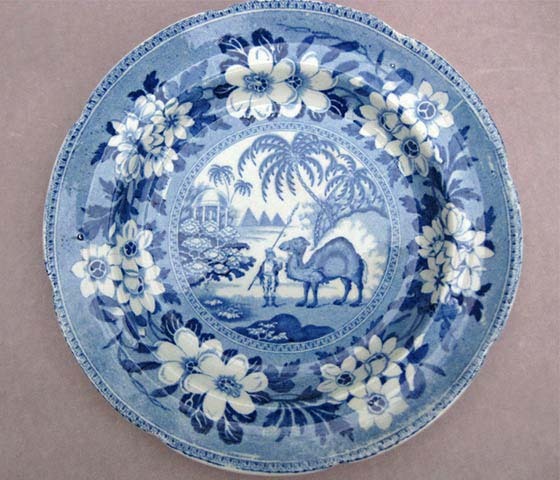 Price Guide : A S2984: A small plate with a print of a dromedary and attendant with three pyramids in the background.Surrounded by a floral border. 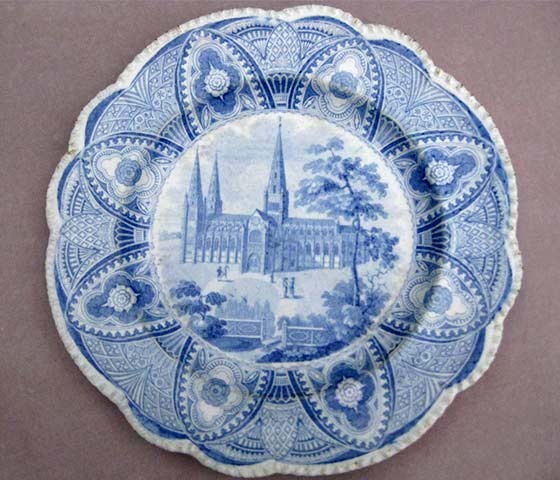 S2985: A blue and white plate with a print of the Litchfield Cathedral with its three spires within an arcaded border. 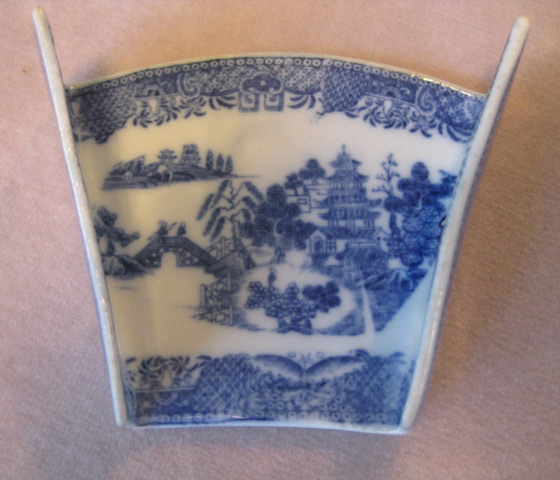 Price Guide : B S2986: A blue and white plate printed with “Bamboo & Flowers” a view of a Chinese garden with peonies , bamboo and a vase of flowers within a stylised floral border. 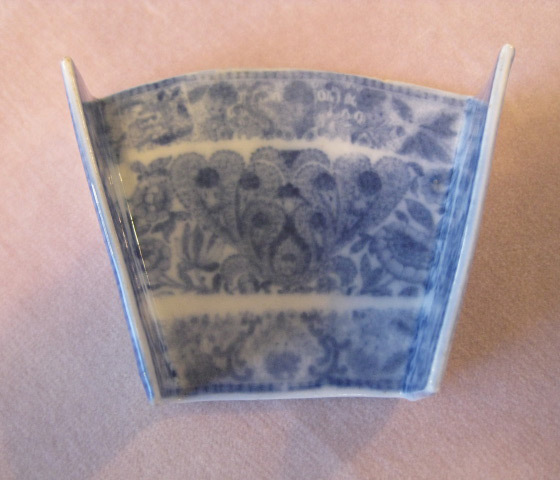 Semi China mark within an octagonal cartouche also a crossed batons and a dot Minton W. 10” Circa 1820. 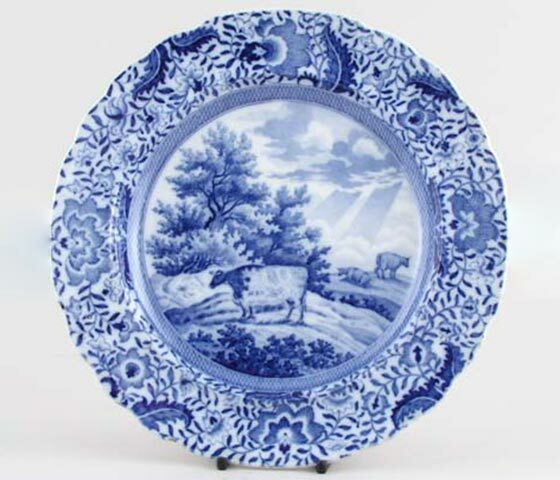 Price Guide : B S3009: A Durham Ox blue and white plate with two cows in the distance printed to the centre and with a floral border. 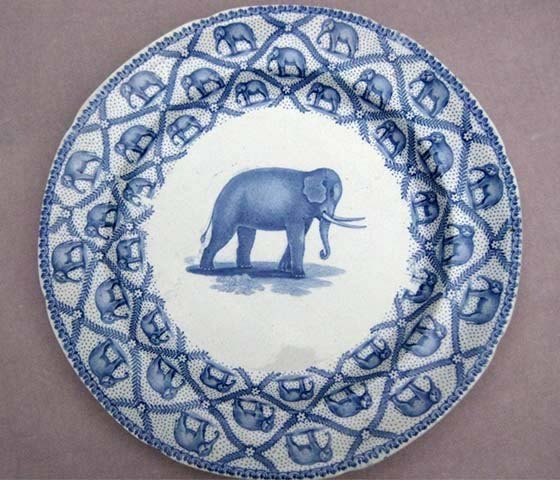 S2987 : A very rare blue and white decorated plate featuring a standing elephant to the centre. 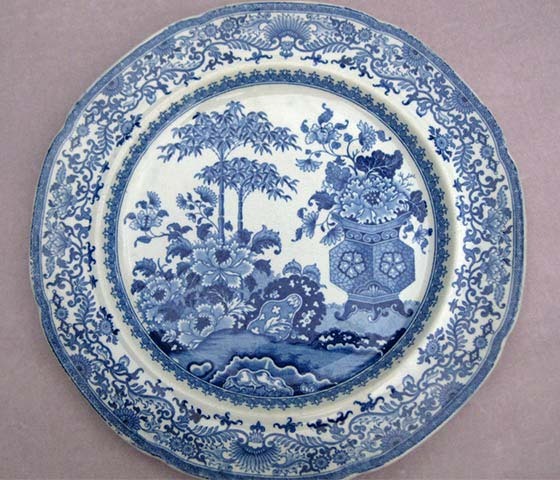 The border has criss-crossed leafy branches with a flower at the intersection and containing 34 small elephants on a blue spotted ground. Can't find what you're looking for? Why not let us find it for you?